On the ‘10th’ of April 1970, Paul McCartney announced his departure from The Beatles. This signalled the end of The Beatles, and start of his solo career, which began a week later, when Paul McCartney he released his debut album McCartney. Meanwhile, The Beatles were in the process of releasing their swan-song, Let It Be. Just a month later, the Phil Spector produced Let It Be, and the single The Long and Winding Road were released on the ‘8th’ May 1970. Let It Be was a disappointing swan-song from The Beatles, and was their only album not to be accompanied by glowing, critically acclaimed reviews. It was a disappointing end to The Beatles’ career. Worse was to come, later in May 1970, when the documentary that accompanied Let It Be was released. Critics were far from impressed by a documentary that had been eagerly awaited. Despite this, the Let It Be documentary still managed to win the 1970 Academy Award for Best Original Song Score. By then, the four former Beatles were concentrating on their solo careers. After the breakup of The Beatles in 1970, John Lennon, Paul McCartney and Ringo Starr embarked upon solo careers. Most of the attention was centred around John Lennon and Paul McCartney. This suited George Harrison fine. George Harrison had already released two albums by the time the four Beatles went their separate ways. By then, George Harrison had already released two solo albums, including the soundtrack to Wonderwall Music, which when it was released in November 1968. 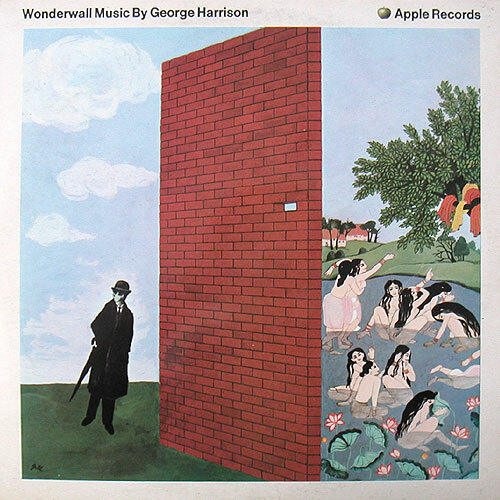 Wonderwall Music was one of the most of the most innovative, yet underrated music released by a former Beatle, and was the album that launched George Harrison’s solo career. The album that became George Harrison’s debut album was unlike the other three Beatles’ solo albums. Wonderwall Music was the soundtrack to Joe Massot’s film, and was a fusion of two disparate musical cultures. George Harrison and some of his musical friends recorded an album where Indian classical music and rock sat side-by-side on Wonderwall Music. This wasn’t surprising as George Harrison had been interested in Indian music since 1966. Recording Wonderwall Music allowed George Harrison to experiment with his new musical love. Recording of Wonderwall Music took place between November 1967 and February 1968 at EMI Studios, London, HMV Studios, Bombay and De Lane Lea Studios, London. These studios were where George Harrison collaboration with renowned classical pianist and orchestral arranger John Barham took shape He played an important part in Wonderwall Music, as did a number of Indian musicians, including Mahapurush Misra, Shivkumar Sharma and Aashish Khan. However, it wasn’t just classical musicians that featured on Wonderwall Music. Some of George Harrison’s friends from the rock world joined him in the studio. This included former Cream guitarist Eric Clapton, ex-Beatle Ringo Starr and Peter Tork. They were joined on Wonderwall Music by Tony Ashton and his band The Remo Four. This all-star band, that included the best Indian music and rock music had to offer, spent the best part of three months recording of Wonderwall Music. Once the album was complete, it was released on The Beatles’ new record label Apple. Before Wonderwall Music was released, critics had their say on George Harrison’s debut album. Sadly, Wonderwall Music failed to catch the attention of critics, and many didn’t even bother to review the album. They perceived Wonderwall Music as “just a soundtrack,” and not worthy of a review. Ironically, since then, the same critics have reevaluated Wonderwall Music and it’s now perceived as a compelling and innovative album. Indeed, Wonderwall Music is now one of the most underrated solo albums by a former Beatle. Not many people would’ve realised this in back 1968. When Wonderwall Music was released in Britain on the ‘ 1st’ of November 1968 it failed to chart. A day later, Wonderwall Music was released on the ‘2nd’ of November 1968 and peaked at number forty-nine in the US Billboard 200. This vindicated George Harrison’s decision to release such a groundbreaking album. The followup to Wonderwall Music saw George’s music head in a much more avant-garde direction. Just over a year after the release of Wonderwall Music, George Harrison returned with his sophomore album, Electronic Sound. Critics and record buyers wondered what direction the Quiet One’s music would head in on his sophomore album? None of them would have guessed that George Harrison was about to release an album of avant-garde music, Electronic Sound. Electronic Sound was recorded during November 1968 and February 1969 at Sound Recorders Studio, Los Angeles and at Kinfauns, George Harrison’s home in Surrey.The album featured just two lengthy pieces played on Robert Moog’s latest groundbreaking invention, the Moog synth. With a Moog synth, George Harrison recorded Under The Mersey Wall, which lasted nearly nineteen minutes and No Time Or Space, which was a twenty-five minute epic. These two songs became Electronic Sound, which was released on the ‘9th’ of May 1969. Just like Wonderwall Music, critics weren’t interested in Electronic Sound. Reviews of George Harrison’s sophomore were few and far between, and to some extent, that wasn’t surprising. The problem was that Electronic Sound was an album that was so far ahead of its time, that critics who were used to reviewing albums of pop and rock failed to understand that album, never mind understand what George Harrison was trying to achieve. It was only later when critics revisited Electronic Sound that they regarded the importance of the album. 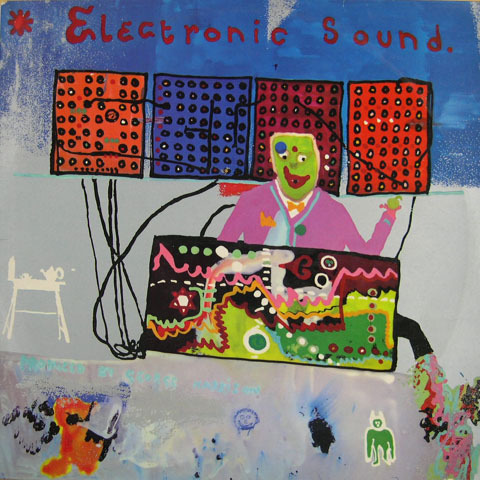 Electronic Sound was pioneering and innovative album of avant-garde electronic music that later, would be a reference point and inspiration for future generations of musicians. However, the critics that reviewed Electronic Sound in 1969 regarded it as an an album for completists only, or those interested in avant-garde or electronic music. Despite the importance of Electronic Sound, it hasn’t stood the test of time. Neither was it a commercial success. Electronic Sound was scheduled for released in Britain on the ‘9th’ of May 1969 on The Beatles’ Zapple label. It was an imprint of Apple, with a raison d’être was to release albums of avant-garde music. However, Zapple was a short-lived venture for The Beatles, and was closed down by their new manager Allen Klein as part of his cost cutting measures. One of the few albums Zapple released was Electronic Sound. Electronic Sound was released in Britain on the ‘9th’ of May 1969, and failed to chart. For George Harrison this was another disappointment. Just over two weeks later, Electronic Sound was released in America on 25th May 1969, and history repeated itself and Electronic Sound failed to chart. However, George’s luck was about to change when he released his third album All Things Must Pass, which was recently released by UMC on vinyl as a Limited Edition three LP Box Set. All Things Must Pass was the album that transformed George Harrison’s solo career. While his first two album had been adventurous and groundbreaking, George Harrison’s third album, All Things Must Pass was a much more traditional album. It was also an album that showcased George Harrison’s talent as a singer,songwriter, and musician. For All Things Must Pass, George Harrison headed into the studio with eighteen tracks to record. Many of the songs on All Things Must Pass were new songs, while others were written while George Harrison was still a member of The Beatles. They had turned down tracks like All Things Must Pass and Isn’t It A Pity, preferring to record Lennon-McCartney compositions. While this was frustrating for George Harrison. the Quiet One shrewdly kept them for his solo career. Now was the time to showcase these songs on All Things Must Pass. 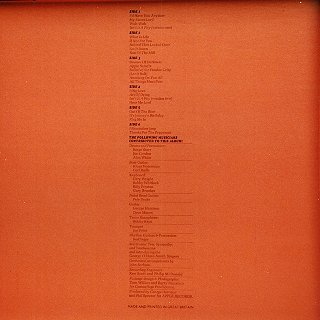 Sixteen of the tracks on All Things Must Pass were written by George Harrison. He also cowrote I’d Have You Anytime with Bob Dylan. The only cover version on All Things Must Pass was the Bob Dylan composition If Not For You . These eighteen songs were part of what became a triple album, which was recorded in three top studios and featured an all-star cast. Recording of All Things Must Pass began on 26th May 1970 and finished in late October 1970, with recording sessions taking place in the familiar surroundings of Abbey Road Studios, Trident Studios and Apple Studios. During that five month period, the great and good of music played a walk on part on All Things Must Pass. This included George Harrison’s friend and ex-Beatle Ringo Starr played drums on some of the tracks. He was joined by two men who had been members of The Beatles’ inner circle. Billy Preston who played with both The Beatles and the Rolling Stones played piano and organ. Klaus Voormann another Beatles’ confidante arrived at the sessions and played guitar and bass. They were joined by three members of Derek and The Dominoes, drummer Jim Gordon, bassist Carl Radle and Eric Clapton who played acoustic and electric guitars. Among the other top names that made their way to the sessions were Blind Faith drummer Ginger Baker, Yes’ drummer Alan White, Traffic’s Dave Mason who played electric and acoustic guitars and Phil Collins of Genesis added percussion. These big names were joined by some top session players. This included Bobby Whitlock, who was formerly a member of Delaney and Bonnie, and in 1970, session musician to the stars. Bobby Whitlock played piano, organ, tubular bells and harmonium. Pete Drake played pedal steel, while Pete Ham, Tom Evans and Joey Molland played acoustic guitar, and Tony Ashton and Gary Brooker played piano. Horns came courtesy of saxophonist Bobby Keys and trumpeter and trombonist Jim Price. Joining this crack band of session players was The Beatles’ former roadie Mal Evans, who played percussion. He played a small part in what would become the most successful album of George Harrison’s career, All Things Must Pass. With All Things Must Pass completed, George Harrison’s third solo album was scheduled to be released on the ‘27th’ of October 1970. Before then, the music critics passed judgment on All Things Must Pass. They hadn’t been won over by George Harrison’s two previous albums Wonderwall Music and Electronic Sound, and there was a degree of trepidation as the Quiet One awaited the reviews of All Things Must Pass. When the reviews were published, there was not one dissenting voice. Critics hailed All Things Must Pass as a classic, and critical acclaim accompanied George Harrison’s third solo album. It was, without doubt, the greatest album of George’s three album solo career, and marked the coming of age for George Harrison. It was as if George Harrison had been freed from the shackles that were The Beatles. No longer was he being held back by the Lennon-McCartney axis who dictated what songs featured on The Beatles’ albums. Most of the time, George Harrison’s songs had been rejected out of hand, and often, inferior songs from Lennon-McCartney partnership were given preference. However, George Harrison was about to have the last laugh. 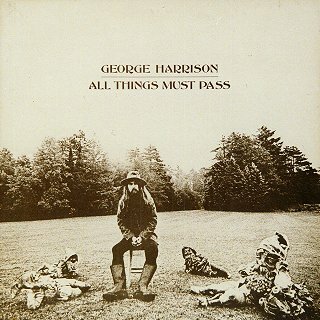 The cover of All Things Must Pass saw George Harrison surrounded by four comedic looking gnomes, which many veteran Beatles watchers believed were meant to represent The Beatles. The same Beatles watchers saw this as George Harrison commenting on his removal from The Beatles. That was George Harrison’s past, and he was no longer defined by his membership of The Beatles. Since the breakup of The Beatles, George Harrison had his own identity back and could forge a career as a solo artist. What better way to start the next chapter in his career that by releasing a classic album, All Things Must Pass. The ‘27th’ of October 1970 was D-Day for George Harrison. That was the day All Things Must Pass was released as a triple album. The first four sides featured the main part of All Things Must Pass which was produced by George Harrison and Phil Spector. On sides five and six, was Apple Jam which It featured five jams. The lavish triple album that was All Things Must Pass, was about to become one of the most successful solo albums by a former Beatle. The lead single released from All Things Must Pass during 1970 was a double A-Side. This was My Sweet Lord and Isn’t It A Pity. It reached number one in America, Australia, Britain, Canada, Germany, Holland, Norway, Sweden and Switzerland. Having sold one million copies in America, My Sweet Lord was certified gold, and later, was nominated for a Grammy Award. There was a problem though. Anyone familiar with Ronnie Mack’s He’s So Fine immediately spotted the similarities between the two songs. So did Bright Tunes Music who filed a writ against George’s Harrisongs Music on the ‘10th’ of February 1971. Nearly five years later, on the ‘23rd’ of February 1976, the case was settled. It was held that George Harrison had “subconsciously copied” He’s So Fine and Bright Tunes Music was awarded damages that totalled $1,599,987, which was deemed 75% of the North American royalties. For George Harrison, the case brought by Bright Tunes Music caused him huge problems, and he became so paranoid about subconsciously copying some else’s work, that he could hardly write. However, back in 1970, that wasn’t the case. On the release of All Things Must Pass on the ‘27th’ of October 1970, it reached number one in America, Australia, Britain, Canada, Holland, Norway and Sweden. All Things Must Pass also reached number four in Japan and number ten in Germany. Given how successful All Things Must Pass was, it’s no surprise it was certified gold in Britain and Canada. In America, All Things Must Pass was certified platinum six times over. That equates to sales of six million copies of All Things Must Pass. Never again, would George Harrison reach these heights. This was no surprise, as All Things Must Pass was a stonewall classic. After the release of All Things Must Pass, no longer was George Harrison perceived as a junior partner in The Beatles. That was far from the case as he was a talented and prolific songwriter. The sixteen songs that featured on All Things Must Pass was just the tip of a musical iceberg. For a number of years, George Harrison had been quietly writing songs. By 1970, he had accumulated a vast body of work. Now was the time to let the record buying public hear what he was capable of on All Things Must Pass. All Things Must Pass was George’s Magnus Opus. It’s an epic album. Lavish, epic arrangements are the perfect foil for George’s vocal. The music is both melodic and mystical. Especially when George draws inspiration from Indian music. This is part of All Things Must Pass’ spiritual sound. During All Things Must Pass spirituality and religion play an important part. This is apparent on My Sweet Lord. Just like other tracks on All Things Must Pass, My Sweet Lord is a mixture of rock ’n’ religion. It’s an anthemic modern-day hymnal. However, there’s other influences on All Things Must Pass. This includes The Band, Bob Dylan and of course Phil Spector. His arrangements are part of the albums lavish, grandiose sound. Phil Spector co-produced All Things Must Pass, and was yin to George’s yang. Now that George Harrison was freed from the constraints of Lennon and McCartney he had blossomed as singer, songwriter, musicians and producer. Phil Spector had helped the genie escape from the bottle. In doing so, Phil Spector helped George Harrison record an album that he would never better, All Things Must Pass. Cerebral, thoughtful and spiritual, the music is often beautiful and sometimes wistful and melancholy on what is a compelling classic album that is spread across side sides of vinyl. It features many musical highlights. Some of the many highlights include My Sweet Lord is a stonewall classic. It’s one of the best songs ever written and recorded by a former Beatle. It’s a timeless, spiritual song, written in praise of the Hindu god Krishna, where George Harrison calls for the abandonment of religious sectarianism. Sadly, forty-seven years later, this beautiful song is just as relevant. The thoughtful Isn’t It a Pity was written after the demise of The Beatles, George Harrison is in a reflective mood. There’s a sadness in his voice that no longer are The Beatles such close friends. On All Things Must Pass, it’s as if George has come to terms that The Beatles are no more. Considering they were a part of his life for so long, this couldn’t have been easy. George Harrison is in an equally reflective mood on What Is Life? Written in 1969, it’s one of George Harrison’s love songs. This is something that he does so well. In this song, the lyrics aren’t just about a woman, but a deity too. Beware Of The Darkness is another spiritual song, where t he lyrics reflect the supposed philosophy of Radha Krishna Temple. It’s a song full of powerful imagery which gives the track a cinematic sound and feel. Art Of Dying is another spiritual track where George Harrison deals with reincarnation and the need to avoid rebirth. Closing All Things Might Pass is Hear Me Lord, a song that originally, George Harrison put the song forward for Let It Be. It was rejected and makes its debut on All Things Might Pass. A personal prayer in a rock gospel style, George Harrison asks for help and forgiveness from his deity on Hear Me Lord. 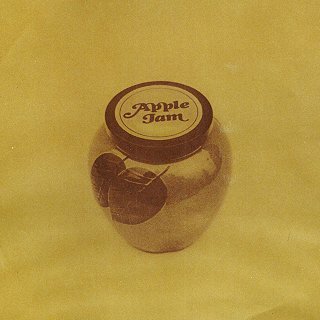 Apple Jam, which fills sides five and six, allows George Harrison’s multitalented all-star band to cut loose. On the longer tracks Out of the Blue, I Remember Jeep and Thanks for the Pepperoni they showcase their versatility and considerable talents. This is a fitting way to end All Things Must Pass. Although George Harrison went on to release nine further solo albums, none of them match All Things Must Pass in terms of success and quality. Most of his albums were commercially successful, but neither replicated the success nor critical acclaim that All Things Must Pass enjoyed. It was George Harrison’s career defining album, and sadly, he would never again reach the same heights. Try as he may, George Harrison always came up short when he released future albums. All Things Must Pass was George Harrison’s Magnus Opus. Freed from the shackles of The Beatles, George Harrison had blossomed, and was no longer the “junior partner” or “quiet Beatle.” George Harrison was only quiet because he never had was given opportunity to speak musically. When he did, it was a case of tokenism, which The Beatles would come to regret. Just six months after Paul McCartney announced he was leaving The Beatles in April 1970, George Harrison released All Things Must Pass, which sold over seven million copies and reached number one in Australia, Britain, Europe and North America. There was the small matter of two Grammy Award nominations. When the Grammy Award nominations came out, George Harrison was nominated twice. All Things Must Pass was nominated for the Album of The Year Award and My Sweet Lord was also nominated for Record of the Year. This was a huge honour, and a recognition of how far he had come since leaving The Beatles. 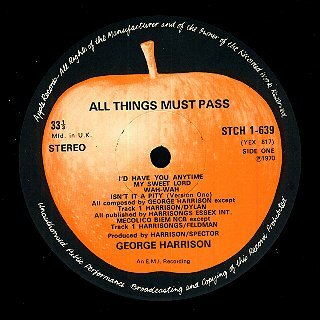 All Things Must Pass also marked the coming age musically of George Harrison. The musicians who joined George Harrison on All Things Must Pass reads like a who’s who of music. They recorded the twenty-three tracks that became All Things Must Pass, which was recently released by UMC on vinyl as a Limited Edition three LP Box Set. This all-star band played their part on became the most successful solo album released by a former Beatle. After the success of All Things Must Pass, none of the rest of The Beatles’ came close to replicating its success. That is no surprise, as All Things Must Pass is a classic album. Even the contrarian Rolling Stone magazine agree, and include All Things Must Pass in their list of 500 albums of all time. It’s the album that launched George Harrison’s solo career, after the release of two very different albums. 1968s Wonderwall and 1969s Electronic Music were much more groundbreaking, avant-garde albums, while All Things Must Pass saw George Harrison return to a much more familiar sound. The only difference was All Things Must pass marked the debut of George Harrison’s trademark slide guitar sound. Washes of slide guitar play an important part in All Things Must Pass’ sound. This sound would feature on further George Harrison albums. Over the next thirty-two years, another nine George Harrison albums were released. His final album was Brainwashed, which was released posthumously in 2002, a year after George Harrison’s death. However, George Harrison left behind a rich musical legacy, including the albums he recorded with The Beatles and the twelve solo albums he released between 1968 and 2002. The includes George Harrison’s career-defining Magnus Opus All Things Must Pass, which is a stonewall classic, and the most successful album released by a former Beatle. ← THE LIFE AND TIMES OF CHI COLTRANE.